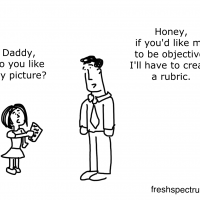 What’s not to love about this gem from evaluation cartoonist Chris Lysy? Speaks for itself really. Better still, Chris can custom draw cartoons for your next presentation, report, or book! How cool is that? Check out his awesome work at Fresh Spectrum.